2 PM LINKS No. 121: Snapchat IPO + Facebook v. Publishers + Stripe x Apple Pay + A word from Stratechery. This is issue no. 121 of 180. 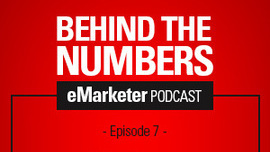 The last issue had a 42.73% open rate with 5.73% going to this article on the four M's of marketing. Happy Apple Event day, everyone. MEDIA: A Snapchat IPO is likely next year, putting the company ahead of other large private tech companies eyeing the public markets. An offering will test investors’ appetite for mobile video, among other things. 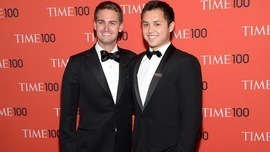 Snapchat CEO Evan Spiegel hasn’t been shy about stating the company’s interest in going public. “We need to IPO. We have a plan to do that,” he said at a conference last year. Mr. Spiegel, who has made a habit of bucking Silicon Valley trends, has told investors that he doesn’t much buy the idea—almost a religion in Silicon Valley—that it’s better to stay private longer. ECOMMERCE: Taking cinematic inspiration from the likes of James Bond, the film – which was executive produced by Lock, Stock and Two Smoking Barrels’ director Guy Ritchie and directed by filmmaking collective Crowns & Owls – sees the leader of the appropriately titled spy agency T.E.D deploying fashionably dressed agents to prevent a global couture catastrophe. The twist is that every item of clothing in the cinematic ad, which can be accessed through Tedbaker.com, exclusive UK partner Selfridges.com and US partner Nordstrom.com, can be bought by clicking on it in the video. With Facebook's Power Growing, Publishers Scramble. MEDIA: After years of guzzling at the platforms’ traffic spigot, publishers’ worst fears are coming true. The platforms have inserted themselves between publishers and their readers, making it harder for publishers to make money off them. 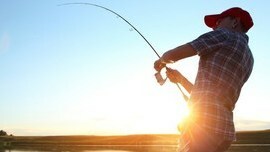 To counter, publishers are getting smarter about striking direct connections with readers, getting people to come to their sites where they have full control over audience data and monetization. “The benefits accrue to whoever’s closest to the customer,” said Omri Bloch, the chief operating officer of Bounce Exchange. 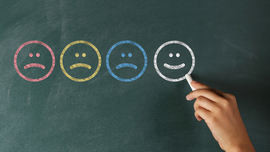 BRAND: Many marketers are undermining their brands’ ability to attract customers and grow in value by neglecting certain areas of the brand experience, new research suggests. The first Brand Experience Index by creative agency Rufus Leonard finds the strongest brands are those that think “holistically” about the experience they offer, ranging from the emotional effect they deliver to the sense of social identity they create among customers. Rufus Leonard took as its starting point an academic paper published in the Journal of Marketing in 2009 entitled Brand Experience: What is it? DATA: Conduct a Google search for a simple question, like “what year did Wizard of Oz come out?” or “how to check oil in a car” and you’ll be met with a box of straightforward information to answer that question. Sometimes, it will appear on the side in an organized box with basic information, and other times there will be a paragraph attempting to answer your question above the fold of traditional search results. 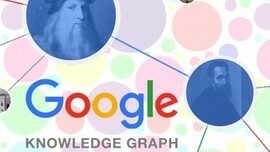 This is the Knowledge Graph, a bank of information designed to give search users more immediate, thorough, and concise answers to their questions. 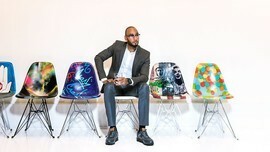 BRAND: A Grammy-winner once dubbed “the best rap producer of all time” by Kanye West, Swizz has penned beats for Whitney Houston and Jay Z, developed partnerships with brands including Reebok and Lotus, and regularly gets six-figure checks to perform as a rapper or DJ—part of the reason he raked in $10.5 million this year, good for the No. 19 spot on our Hip-Hop Cash Kings list. But the Bacardi gig could be his most lucrative yet. The multi-year, multimillion-dollar, incentive-laden pact includes a share of Bacardi’s profits. MEDIA: AT&T purchased DirecTV in July 2015 and today pushed an update to the DirecTV iPhone app to implement the data cap exemption. 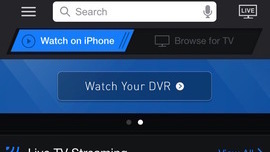 "Now you can stream DirecTV on your devices, anywhere—without using your data. Now with AT&T," the app's update notes say under the heading "Data Free TV." This feature requires subscriptions to DirecTV and AT&T wireless data services. RETAIL: Omnichannel shoppers value efficiency, and physical retailers can’t outdo ecommerce powerhouses such as Amazon until they make the in-store shopping experience as efficient as online shopping. eMarketer’s Tricia Carr spoke with Hongwei Liu, ‎co-founder and CEO of retail wayfinding software provider Mappedin, about how retailers can make their in-store experience more attractive to today’s time-starved consumers. 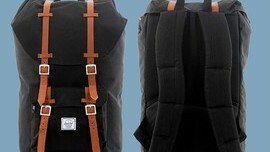 BRAND: Herschel now has 40 backpack models in a wide range of colors and styles. The Little America, as shown here in black with brown accents, is the company’s most popular bag. It’s a one-compartment, top-loading daypack that closes with a drawstring and a flap cover. You can secure it with magnetic clasps hidden underneath the synthetic leather straps, which are the bag’s most noticeable (and retro) feature. There is a small front pocket, and inside the main compartment are two small side pockets and a raised laptop sleeve with a soft lining. 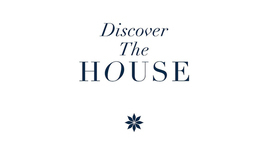 ECOMMERCE: Pernod Ricard is set to launch an exclusive online hub ‘Discover the House’ aimed at “high net worth individuals”, as it seeks to expand its ecommerce offering in the luxury market. The alcohol behemoth, which owns premium brands such as The Glenlivet, Perrier-Jouët and Royal Salute, filed the ‘Discover the House’ trademark with the UK Intellectual Property Office and classed it under ‘electronic commerce services’. Managing director Denis O’Flynn confirmed to Marketing Week that the hub is likely to be “invitation only”, and is aimed at “high net worth individuals”. FINTECH: Finally! Integrate the fluid experience of Apple Pay into your mobile and desktop websites. 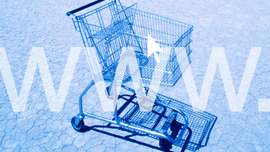 Your customers can now check out with just their fingerprint anywhere on the web. As you’d expect, you’ll receive payment, shipping, and contact information so you can charge for physical goods, subscriptions, and more. With Stripe’s straightforward integration, you can add support for Apple Pay on the Web with just a few simple steps. IDC updated their wearable share numbers a day after I wrote about them, but the overall story is the same: Fitbit is getting stronger, and the Apple Watch is getting weaker. One comment I’ve seen repeatedly is that you can’t really compare a Fitbit wearable to an Apple Watch. And, from a product perspective, that’s true: one is a focused device without many interaction elements, and the other is a general purpose one. However, this is much too narrow a view: most obviously, unless you use the pocketable Fitbit Zip or One, both a Fitbit and an Apple Watch are competing for your wrist. More subtly, if you consider the job-to-be-done, those for whom tracking their fitness is their only priority may not only find a Fitbit competitive but arguably better: it’s cheaper, smaller, and has far superior battery life (and it does notifications, too). Again, this is why I remain so intrigued by how Apple positions the Watch in today’s keynote: as with most everything in life, the device’s strengths — the fact it is a general purpose device that can run apps — is its weakness, at least if the sole goal is basic fitness applications. Ultimately, like I said yesterday, I don’t expect Apple to drop down to Fitbit’s price point (although last year’s Watch may stick around for $199); I think the company will double-down on the Watch’s capability (including the rumored addition of GPS) and trust that Moore’s Law will, eventually, obsolete Fitbit.